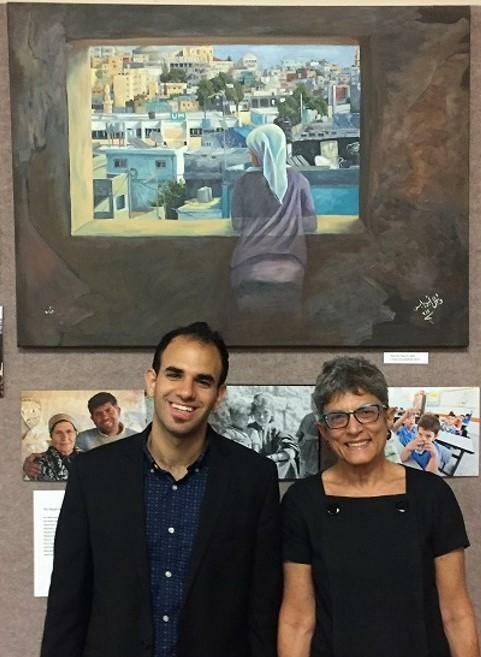 Mr. Bshara Nassar (shown on the right with fellow-curator Dr. Mary Panzer) earned his undergraduate degree from Bethlehem University in Information Systems and Business Administration in 2010. He earned his Master’s Degree in Conflict Transformation from Eastern Mennonite University (Harrisonburg, VA) in 2014. His family has been involved in international education and entrepreneurship work for the past 100 years at their family's educational farm in Bethlehem. Mr. Nassar has been deeply involved in his family’s farm, Tent of Nations, in Palestine, including education, communication and social media. In 2014, he founded the Nakba Museum Project, where he developed the concept, worked with artists, prepared artwork and exhibits, negotiated exhibit space, coordinated the setup of the exhibits in locations across the country, and raised funds. He has played an integral role in educating international visitors about Palestinian rights and livelihoods. He has spoken publicly on these topics in diverse forums, including the French Embassy, John Hopkins School of Advanced International Studies, and a number of churches and universities around the country. Mr. Nassar developed the concept for the Museum of The Palestinian People while working with artists and other contributors on the Nakba Museum Project travelling exhibitions in locations around the country. He is deeply passionate about peace building. Mr. Nassar is “a people person” who enjoys biking in Washington DC and meeting people from all over the world. Mr. Bshara Nassar, the Executive Director of the Museum of the Palestinian People, was recently highlighted in the Rochester City Newspaper, as he proudly announced a new travelling exhibition Bethlehem Beyond the Wall . The exhibit offers visitors a rare glimpse of Bethlehem from the perspective of the city’s residents. The exhibition will be on view at Manhattan College, NY, in Kelly 5A from February 19th – 27th, 10 am – 7 pm, Monday through Saturday. 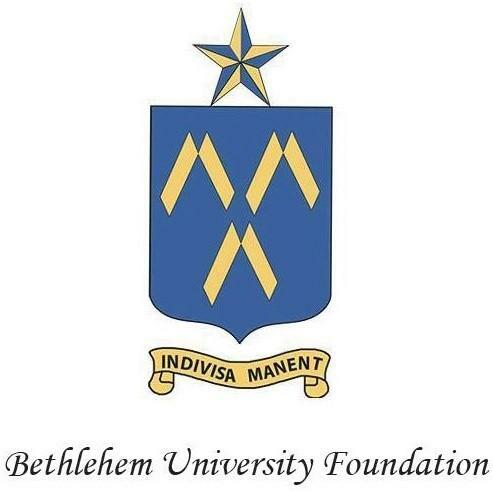 Bethlehem photographer Elias Halabi, also a graduate of Bethlehem University, collaborated on the development of the exhibit and will also be featured at Manhattan College on Monday, February 26 with a Discussion with the Artist. Bethlehem Beyond the Wall invites viewers to see a familiar place from a new point of view. Everyone recognizes Bethlehem as the birthplace of Jesus, few know that the city has a rich modern culture. Throughout history, Bethlehem has been a site of tragedy, struggle and survival. Today the area including Bethlehem and its surrounding villages is home to 100,000 people, the site of three refugee camps, and four generations of refugees. Bethlehem Beyond the Wall seeks to show the city through the eyes of people who have lived there for centuries. The exhibition includes roughly 100 photographs organized into discrete sections, 7 paintings, 4 video interviews, and a series of maps to help viewers locate Bethlehem inside shifting political boundaries. Click here for more information . Find the Facebook event here .